What could be more impressive than space age-style laser headphones that light up? Ones that pulse to the music or your heartbeat with a stunning red, green, or blue glow. 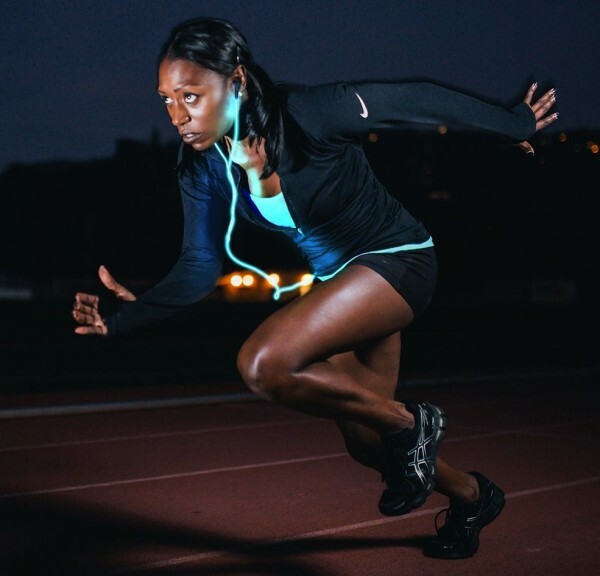 In fact, fitness enthusiasts should take note of where this Kickstarter is headed because if it hits $1 million, the Glow smart headphones will also have an in-ear heart-rate monitor (HRM). Talk about integrated technology equipped for personal data tracking! But even if this campaign doesn’t reach the ultimate stretch goal, it’s already backed and planned to include an intuitive 5-way remote to link to your smartphone for text listening, photo snapping, and taking calls. Of course, Glow headphones also have dedicated buttons to control the music – such as play/pause, volume, and track – compatible with popular apps like Spotify, Google Play Music, Pandora, and more. If you’re always on the go with a bunch of gadgets in tow, a regular backpack or laptop bag just won’t cut it. What you need is a carryall that’s smart enough to organize your smartphone, tablet, and laptop – equipped with an intelligent power management system to charge those must-have devices. The AMPL Smart Backpack already sounds like wearable tech of the future. But you can strap this on while you travel, bike, or take the train and charge up to SIX gadgets at the same time. To make that not only possible but optimally accessible, there are powered USB ports in every single pocket. But the bag’s battery only uses a single power cable to charge. 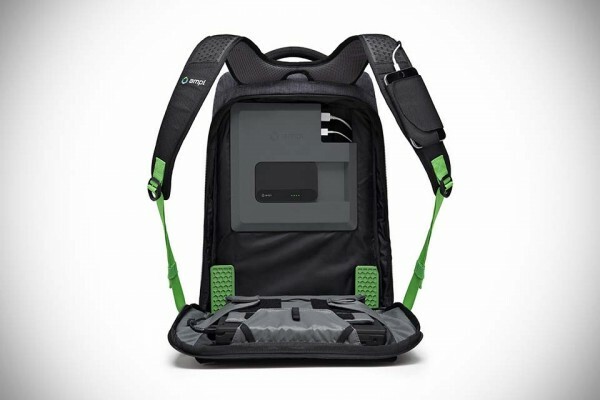 Other features of the AMPL Smart Backpack that make it ideal for geeks are all-around foam layer for protection, innovative shock absorbers, water-resistant material, and even built-in sensors to keep an eye on battery levels, weather conditions, and your new favorite bag’s location. Whether you daydream of skateboarding without ever having set foot on a board, or you’re a pro who can skateboard with your eyes closed, you’ll want to get your kicks on the ZBoard 2. It’s the lightest, fastest, longest-running electric skateboard ever created, and it comes with weight-sensing foot pads for intuitive control. 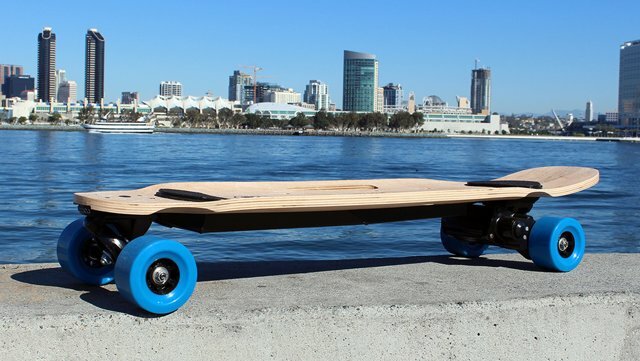 There are two models available, the ZBoard 2 Blue and ZBoard 2 Pearl, both featuring a top speed of 20 MPH. The Pearl weighs a couple pounds more, but it’ll also allow your journey to be 8 miles longer than a ride on the Blue, which has a smaller range of 16 miles. All ZBoards weigh in at less than 20 lbs. and are designed to go anywhere, featuring waterproof connectors and an ergonomic carrying handle. It also has LED headlights and taillights for safe skateboarding at night. Smartphone cameras are no longer a new technology, and it’s time for the next evolution. 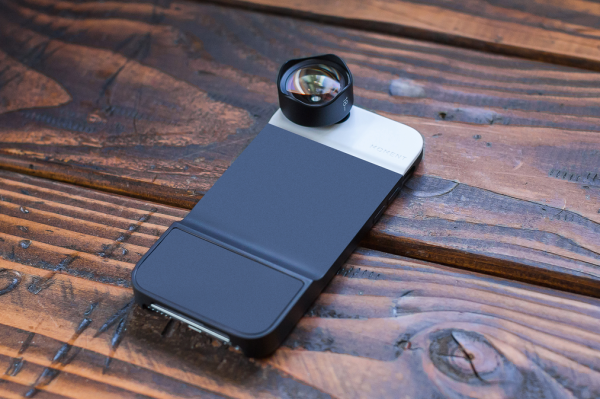 Enter the Moment Lens, an attachment that bridges the gap between phone camera and traditional (bulky) photography equipment. A telephoto lens gets you twice as close to the action without image distortion or degradation, whereas a wide angle lens can capture everything from picturesque landscapes to cramped interior shots. That’s because it’s engineered for the radius and depth of the lens to take in more image without bending it. This seamless system transforms your phone into a camera so high-quality you can forget about Instagram filters and Photoshop. I grew up loving comic books and this has “matured” into a love for graphic novels. And this one was great fun. 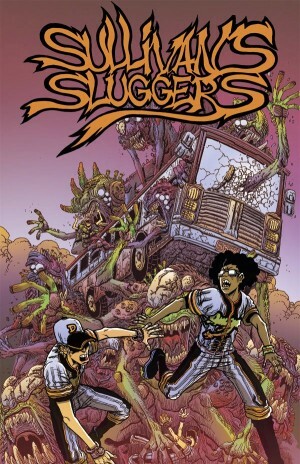 Baseball and comic story glory combine in Sullivan’s Sluggers, a graphic novel from Harvey award-winning author Mark Andrew Smith. Sullivan’s Sluggers tells the tale of minor league players who get invited to a game in a small town – one that’s cursed and filled with flesh-eating monsters. Can the dysfunctional teammates survive and become victorious amidst the town’s terrifying feeding frenzy? If you love gore, all-American sports, and outrageous humor, this comical read is for you.